Being that our family loves to do arts & crafts, a glue gun is a must. We have small glue guns that do low and high temperatures and now we have a large glue gun that does high temperatures too. Much more friendly to the adult hand then our smaller glue guns which are great for smaller hands. Glue guns are great for all kinds of crafts and even handy for fixing things around the home. This glue gun comes with extra glue sticks whicn means you don't have to run out right away to get more. The glue gun also has a nice kickstand so you can place it down when you are in between pieces or when you are letting it heat up or cool down. Remember to supervise children closely with items like this, they can really burn you badly. 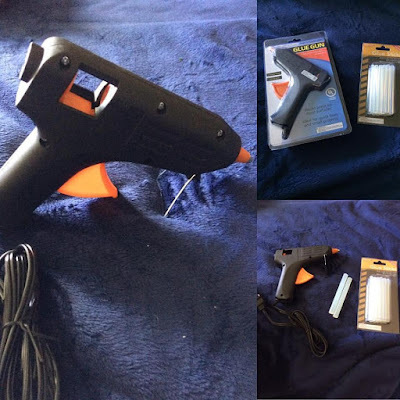 The CDL Brands glue gun can be found on the affiliate link below. Disclosure: MarksvilleandMe received one or more of the products mentioned above as part of a promotion with Tomoson and CDL Brands. Regardless, MarksvilleandMe only recommends products or services we use personally and believe will be good for our readers. Some of the links in the article may be “affiliate links.” This means if you click on the link and purchase the item, I will receive compensation. If you would like MarksvilleandMe to review a product or service please contact us at marksvilleandme@gmail.com.